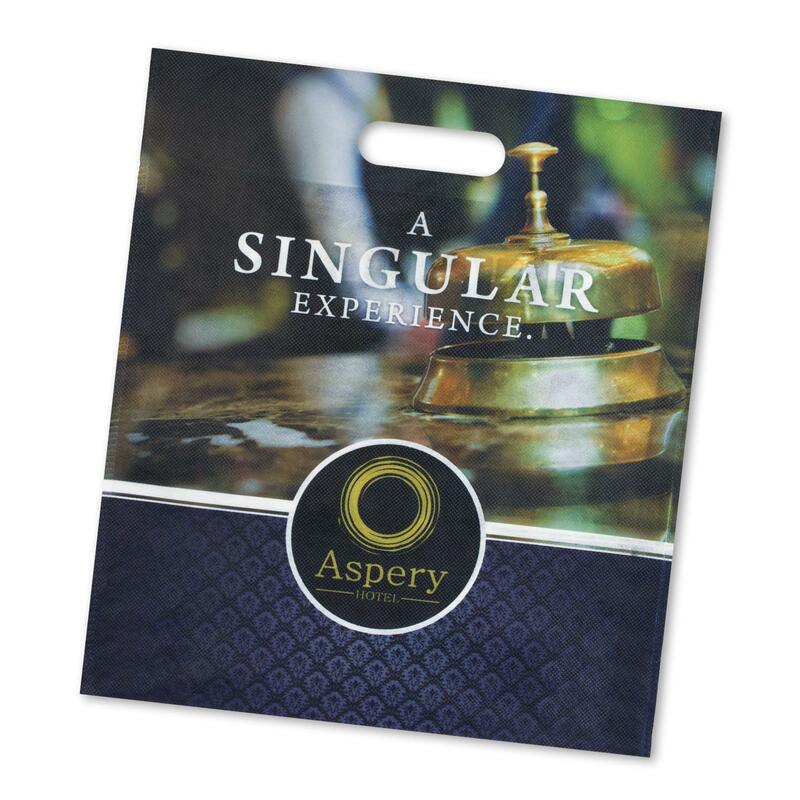 Get creative and utilise the massive branding area on these bags. Full colour on both sides for no extra costs! For an affordable full colour sublimation tote look no further. These bags are manufactured from 80gsm PET with die cut handles. They're branded on both sides in stunning full colour at no extra cost. These are a great conference item to giveaway some important information and other goodies to leave your clients wanting to get in touch! Decoration Area Both sides - Ask us!